UC Santa Cruz has appointed computer scientist Alexander Wolf to serve as dean of the Baskin School of Engineering, effective July 1, 2016. Wolf comes to UC Santa Cruz from Imperial College London, where he is a chaired professor in the Department of Computing. Prior to that, he held the Charles Victor Schelke Chair in the College of Engineering and Applied Science at the University of Colorado, Boulder. "Chancellor Blumenthal and I are impressed with Alex Wolf's leadership and administrative experience. We believe that he has much to offer the Baskin School of Engineering as it continues to grow and build on its core strengths," said Alison Galloway, campus provost and executive vice chancellor of UC Santa Cruz. Wolf said he was attracted to the Baskin School of Engineering's 21st century view of engineering. "The technologies that enable our digital society are all represented in the departments of the Baskin School of Engineering," he said. "If you look at the big trends in Silicon Valley, such as data science, bioengineering, social networks, computer games, mobile and pervasive computing, and "smart" power, they are very well aligned with the areas of expertise at UC Santa Cruz. I am excited to be joining this unique academic and industrial setting." Wolf's research interests span the areas of distributed systems, networking, and software engineering. He is particularly interested in large-scale systems and has done pioneering work in software architecture, business analytics, and information-centric networks. His current projects involve cloud computing, data-center networking, and mobile wireless networks. 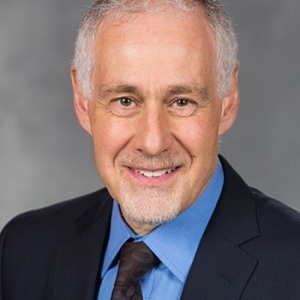 Wolf currently serves as president of the Association for Computing Machinery (ACM) and previously served as ACM's vice president, secretary-treasurer, chair of the Special Interest Group (SIG) Governing Board, and chair of SIGSOFT, the special interest group in software engineering. A fellow of the ACM, IEEE, and British Computer Society, Wolf has received numerous awards and honors for his work, including a Royal Society Wolfson Research Merit award. Wolf earned a B.A. in computer science and geology at Queens College, City University of New York, and M.S. and Ph.D. degrees in computer science at the University of Massachusetts, Amherst. He spent five years as a member of the technical staff of AT&T Bell Laboratories in New Jersey. Wolf will succeed Joe Konopelski, who has served as interim dean since Art Ramirez stepped down in July 2014.